Hi all, bought this plant from a chili festival the other week, came from their unknowns pallet and I haven't been able to put my finger on exactly what variety it is, would like to get some other peoples opinions on it. Thanks in advance. Edited by brenny86, 23 March 2019 - 09:49 PM. i cannot help with identifying that pod but i can help with the photo thing. hold your phone sideways with the "click" button to snap image to the right side and photos will orient correctly. 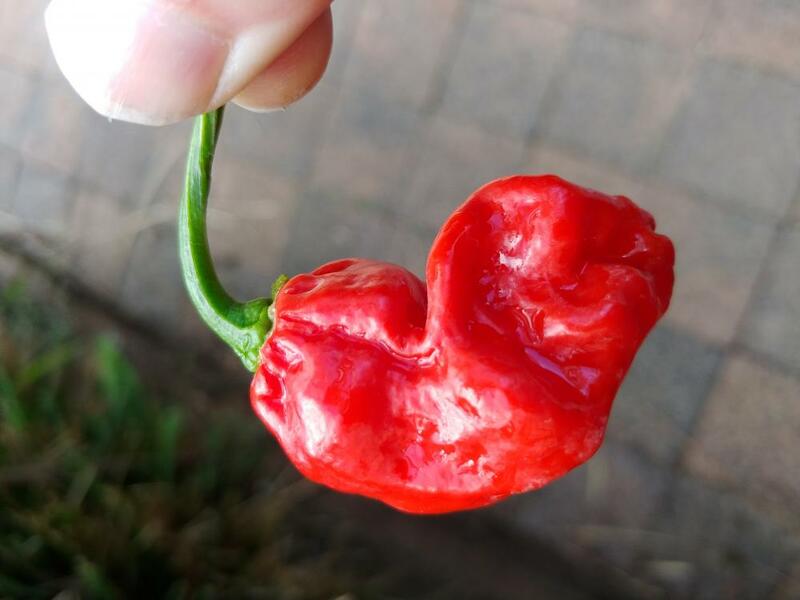 That second pic looks a lot like a pepper I got recently, and asked about in the thread "New pepper found. Identification?" Currently no clue what mine is either. Yeah I agree with you, however its definitely not the same plant, yours is very dark in colour and has a furriness to it whereas mine is the complete opposite. 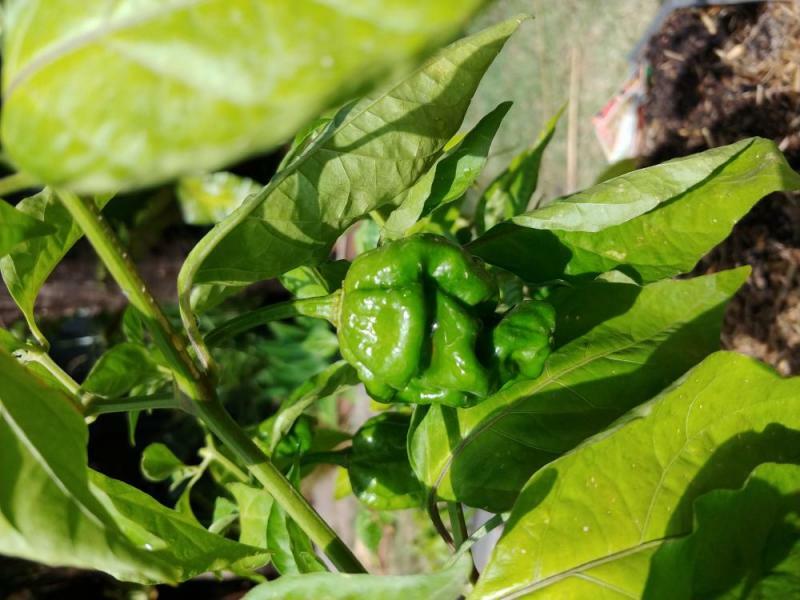 The plant that I took pics of the pepper on is not the same plant it grew on, I just thought it was a perfect backdrop for a picture. I bought it at a market here in Africa so no clue where it came from. Aahhh ok I didn't realise, could possibly be the same or similar then, hopefully the one in the second image will ripen soon so I can pick it and get a good photo of it for comparison. The one in the last photo should only be a couple of days from being fully ripe so I'll see how it tastes soon enough and hopefully get a better idea. 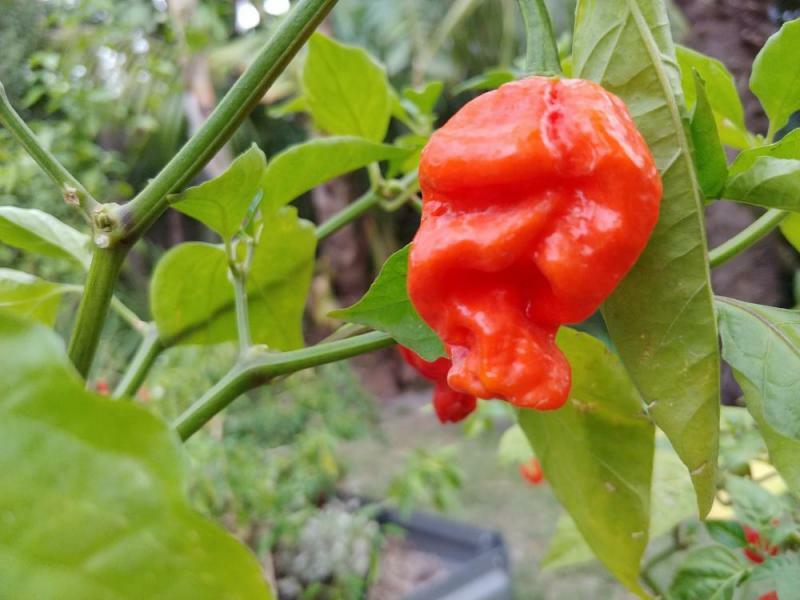 Just ate half a pod, started off with quite a fruity sort of apple / capsicum flavor, wasn't hot straight away then turned into an absolute inferno, burn lasted for about 5 - 10 minutes, still have the fruity flavour in my mouth after the burn subsided which I like. Much hotter than a hab, definetly not hab flavour though. Still unable to really pinpoint what it is. Would love to get a few more opinions. 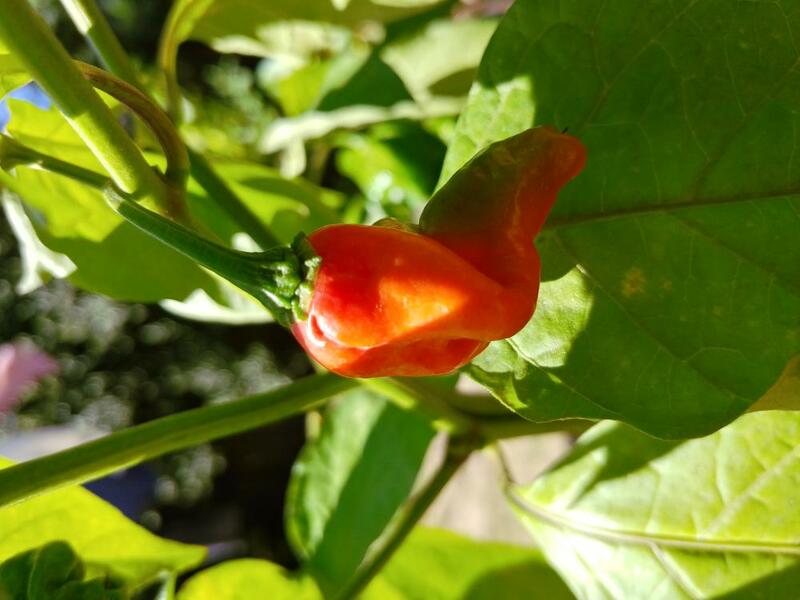 I have added a few more photo's as they are now ripe (or close to it). After searching around a bit more I found a few possibilities however the pods are really quite varied so it's hard to pinpoint one against another. 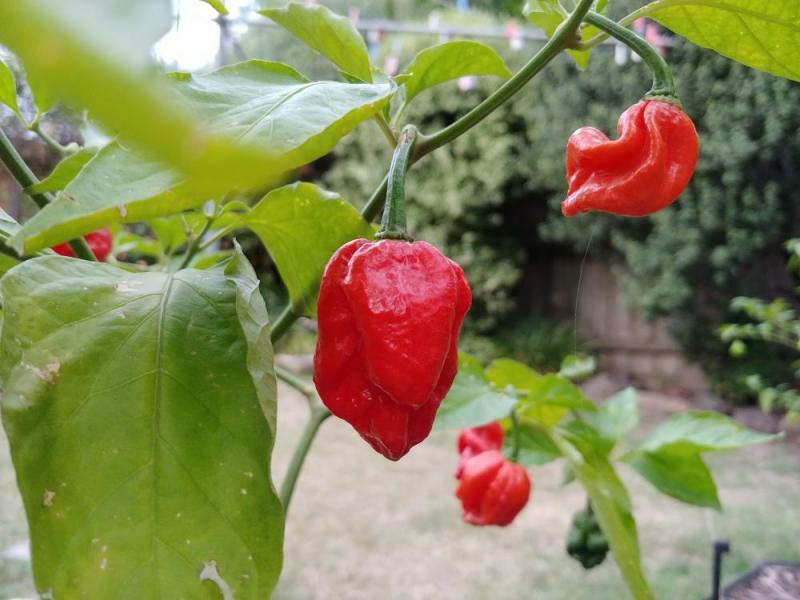 One strong possibility would be https://thehippyseed...-devils-tongue/, as the image of the pod looks very similar however I didn't think it tasted at all like hab so not sure. Those other pods definitely don't resemble the one I had, but the flavor and burn sounded somewhat similar. Mine had a definitive tangy side to it and wasn't hot right away. The burn did come though, and it was freakin' hot. I would guess 700k to possibly 1,000k. I sent most of my seeds to Rajun to grow and I'm starting to germinate some now, will post pics when they start to grow. I'm now putting my money on 7 pot barrackpore, it's defeinetly a superhot, pods vary a bit but the majority are smooth and have the same wrinkly look, and I have seen a fair few reviews online and on Youtube that seem to mirror my experience when I tried it, ie a nice fruity taste, then an extreme burn and then the lingering fruity aftertaste after the heat dissipates. 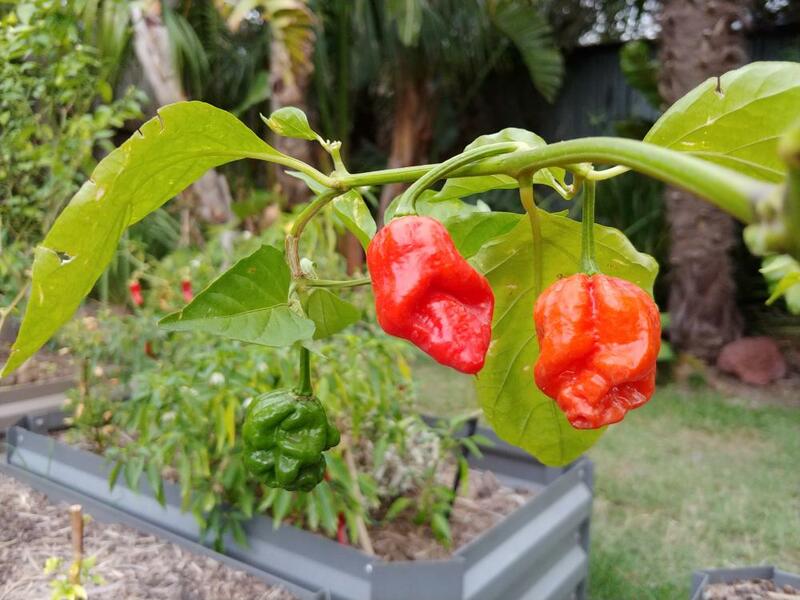 I grew a devils tongue that threw pods pretty much exactly like the 2nd from left in the picture above. 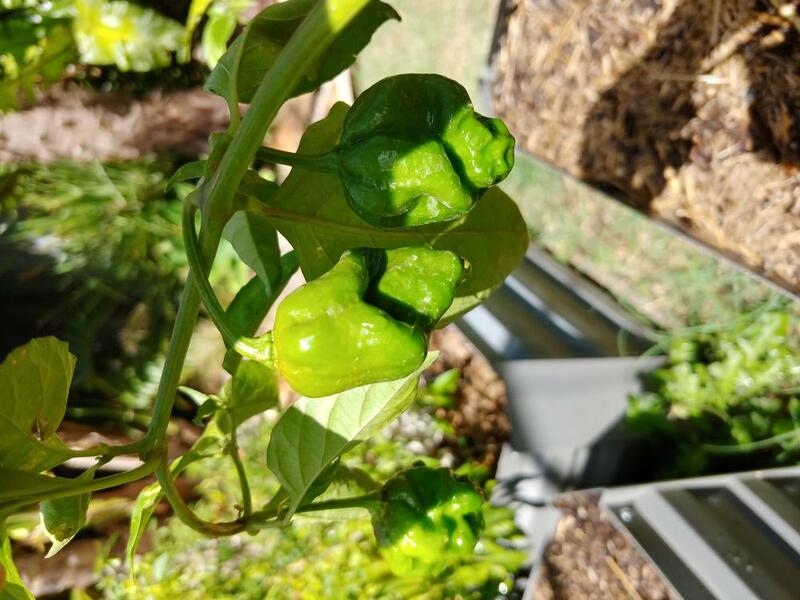 They were as hot as you described but they did not look anything like the pods on the right of that pic.